I read this week that sales of printed books are rising and that their demise at the hands of the eBook reader is hopefully not going to turn out to be true. I love printed books. Not just to read, but also as a living record of information added by those who have owned the book. 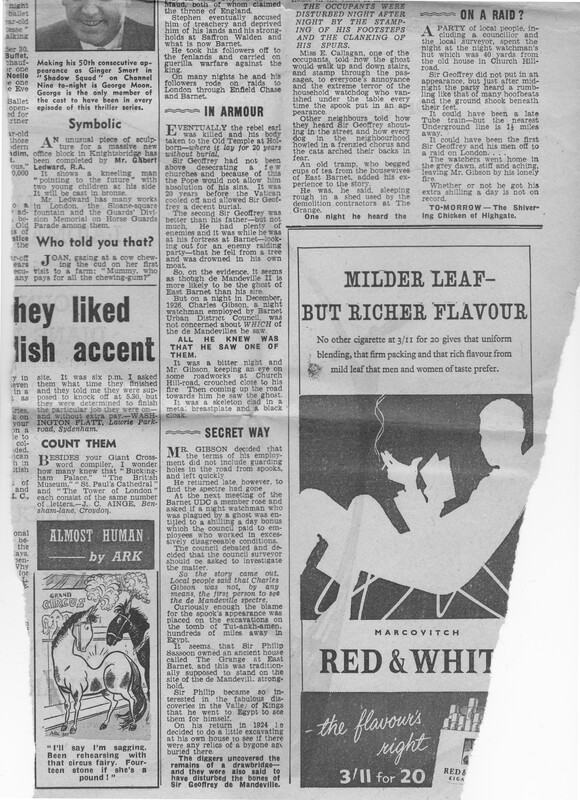 Many of the London books in my collection have annotations along with cuttings from newspapers and magazines over the last 70 years that add to the original text contained within the pages of the book. Rather than a one off read, books can therefore be a repository for new information as well as something to challenge and correct. One such book is “Unbidden Guests – A Book of Real Ghosts” by William Oliver Stevens published in 1949. 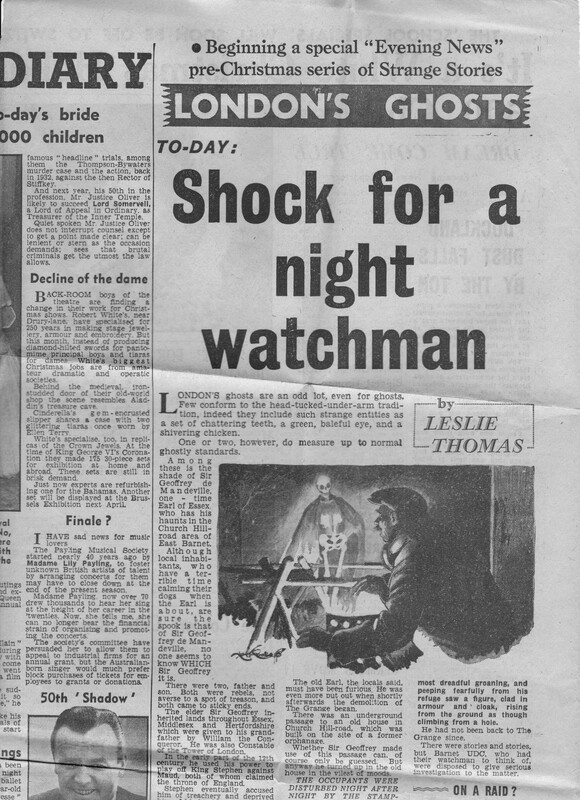 As well as the contents of the book, my copy is also stuffed full of newspaper and magazine articles recounting ghost stories from the last 60 years, and for this week’s post, as we approach the shortest day of the year when darkness falls over London from the late afternoon, here are a few of those articles, a sample from a series printed by the London Evening News in the run up to the Christmas of 1957. These were written by Leslie Thomas who would later find fame following publication of his book The Virgin Soldiers in 1966. At the time of these articles, he was a feature writer for the London Evening News. He worked for the paper from 1955 to 1966 when the success of The Virgin Soldiers convinced him that he could make a career as an author. These stories of London Ghosts are written in a suitably dramatic form and most have an illustration of the haunting to draw in the reader. I like to imagine Londoners reading these articles as they make their way home in the evening on a cold, dark and foggy December night when anything would seem possible. 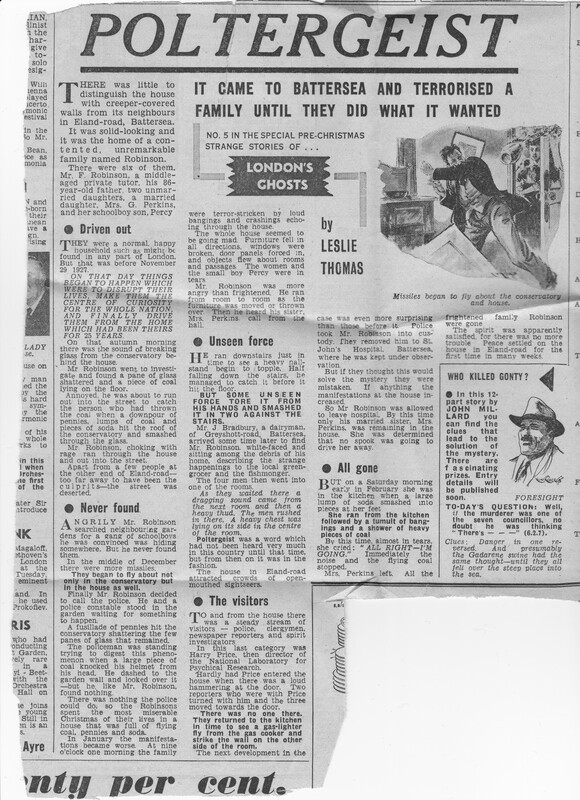 The first story is from 1926 when a Mr Gibson, a night watchman guarding roadwork’s in Church Hill Road, Barnet saw the ghost of Sir Geoffrey de Mandeville, Earl of Essex as a skeleton clad in a metal breast plate and black cape coming up the road towards him. There were two Sir Geoffrey’s in the 12th century, the elder inheriting lands in Essex, Middlesex and Hertfordshire. His political scheming resulted in him being accused of being a traitor. Sir Geoffrey and his followers carried out guerrilla warfare, travelling on roads to London through Enfield Chase and Barnet. On his eventual death his body lay in Old Temple, Holborn for 20 years without burial. The second Sir Geoffrey had a fortress at Barnet and apparently fell from a tree and drowned in his own moat. An old house in East Barnet called the Grange was allegedly built on the de Mandeville’s old fortress and when excavations disturbed the foundations of the old building the haunting started, including the stamping of footsteps and clanking of spurs, along with sightings as witnessed by the poor night-watchman. The Evening News story concludes with a party of local people including a councillor spending the night at the night-watchman’s hut in Church Hill Road. Although nothing was seen, just after midnight the party heard a rumbling like that of many hoof beats and the ground shook. A chilling tale from Barnet and I doubt the night watchman ever returned if the illustration is an accurate portrayal of his night on Church Hill Road. 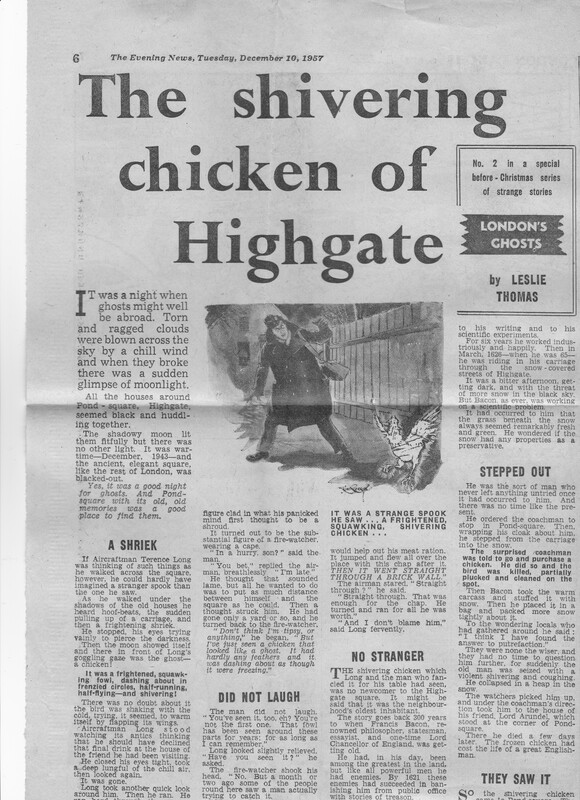 The unlikely story of the chicken goes back to the 17th century when Francis Bacon was riding through the snow covered streets of Highgate. Pondering scientific questions, he suddenly asked his coachman to stop and fetch a chicken. The chicken was killed, and Bacon promptly stuffed it with snow and then put it in a bag filled with more snow. This experiment was following Bacon’s observation that the grass underneath snow always appeared fresh and he wondered whether snow and the cold could help with the preservation of food. Whilst working on this experiment in the cold Highgate night, Bacon collapsed and was taken to the home of Lord Arundel in Pond Square where he died a few days later. The chicken has since been seen many times in Pond Square, although why the chicken continues to haunt rather than Francis Bacon is a bit of a mystery. 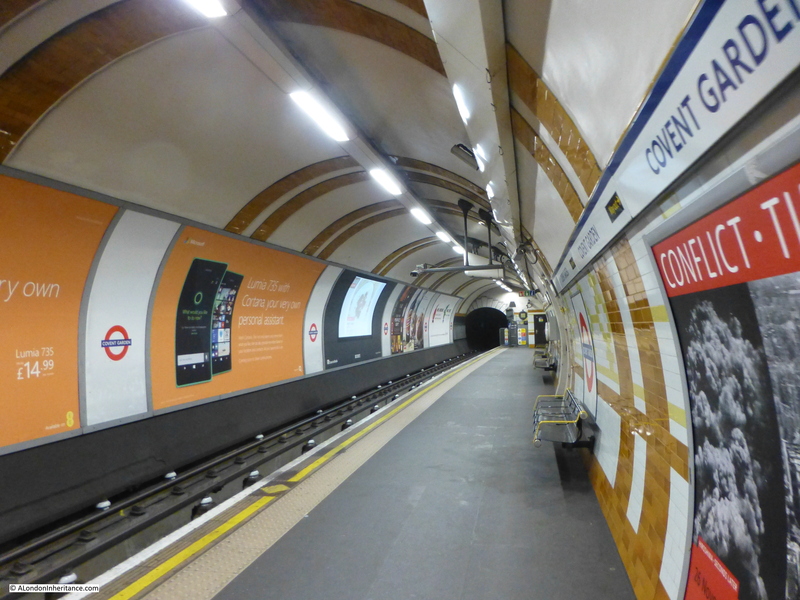 The next story moves into central London, to Covent Garden underground station and tells the story of the ghost of the Victorian actor, William Terriss. On November 24th 1955, the foreman ticket collector Jack Hayden was in the staff mess room which was divided in two with a partition which included a door when, “This door was open and in the other section of the room there appeared the figure of a tall man, grey of face and wearing white gloves.” Jack Hayden and a colleague who had also seen the ghost were shown a photo of Terriss and immediately recognised him. William Terriss had been murdered at the nearby Adelphi Theatre. – Football excursions to see Sheffield United play Leyton Orient from St. Pancras. Grimsby Town play Charlton from King’s Cross and Colchester United play Brentford from Liverpool Street. 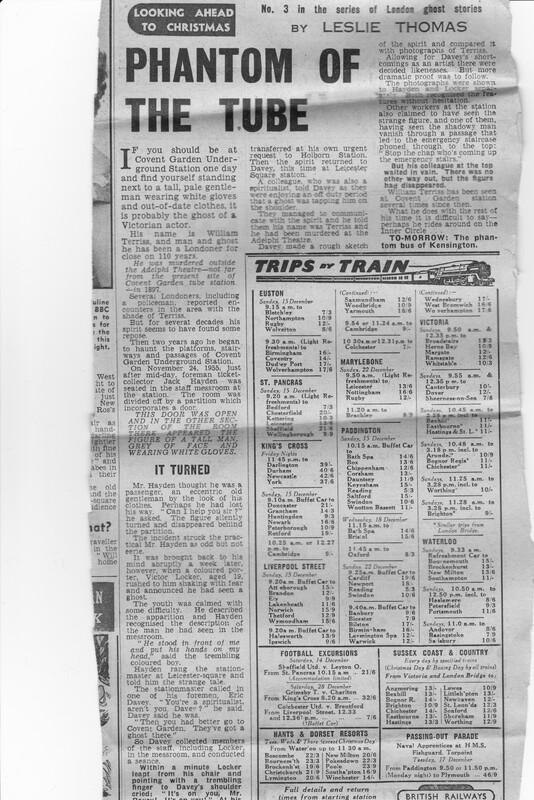 This was when a train ticket from Waterloo to Bournemouth would have cost 15 shillings. The haunting at the house in Eland Road, Battersea owned by the Robinson family, started on the 27th November, 1927 with breaking glass in the Conservatory, which was followed by flying coal, pennies and soda, loud noises and bangs, furniture falling in all directions, broken windows and door panels. With the family who lived in the house now gone the spirit was satisfied and peace descended on the house in Eland Road. Leslie Thomas went on to publish 30 novels until his death in 2014. These articles highlight some of his earliest writings for the Evening News, nine years before publication of The Virgin Soldiers. They also tell of some of the many possible ghostly encounters you may experience walking the streets of London after dark. This entry was posted in London Characters and tagged Adelphi, Barnet, Battersea, Evening News, Highgate, Leslie Thomas, London Ghosts on December 20, 2015 by admin. I first started walking London in the very early 1970s when as children we had family walks exploring the city. We were too young to appreciate exploring a London that would soon be changing so dramatically, so probably to try and keep our interest my father would tell stories of some of the myths and legends of where we walked, including tales of the ghosts of London that haunted many of the locations we passed. Many of the locations that would be expected to have ghost stories associated with their history do not disappoint. The Tower of London has several reported apparitions. Lady Jane Grey seems to be the most frequent having been seen in the Bloody Tower as a long-haired woman dressed in a long black velvet dress with white cap and in the Salt Tower where she was seen as a white shapeless form. Anne Boleyn has been allegedly seen in the White Tower and on Tower Green. A bear has also been seen by some of the military inhabitants of the Tower, perhaps a survivor of the time when the Tower was used as a menagerie. Sir Walter Raleigh’s ghost has also been reported near the Bloody Tower. Westminster Abbey has the ghost of a monk gliding some distance above the floor, presumably due to changes in floor level due to alterations to the Abbey over the centuries. In the Deanery the ghost of John Bradshaw, president of the court which condemned Charles the 1st has been seen. There are also many stories of ghosts in the more unexpected locations. So, as we reach the shortest days of the year, when the long cold nights open the imagination to the more mythical aspects of London, join me on a walk across the city to hunt down some of the ghosts of London. Characters that do not make much of an appearance now with the bright lights, noise and pace of the city crowding out the more fleeting visions of past lives. Belgravia is our first stop. Find Wilton Row, just off Wilton Crescent and almost at the end of this hidden street is the Grenadier. 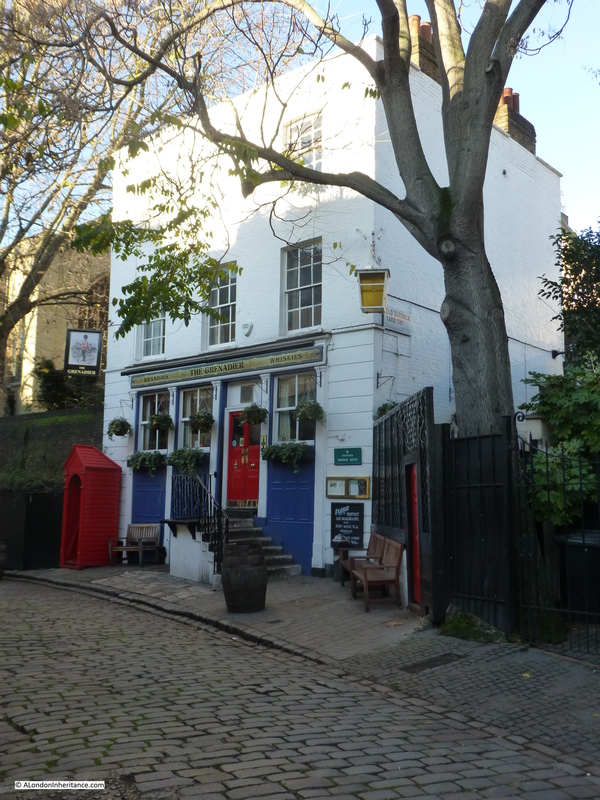 The Grenadier has been a pub since 1818 but was originally the Officers Mess of the First Royal Regiment of Foot Guards and was built-in 1720. The pub is proud of its supernatural heritage, allegedly being haunted by the ghost of Cedric, a young Grenadier who was apparently beaten to death by his comrades after being found cheating at cards. Apparitions, footsteps, noises and an icy chill have all been reported by both landlords and visitors to the pub over the years. Well worth a visit, even if you are not lucky enough to witness one of Cedric’s manifestations. Now take the short walk up to Hyde Park Corner Underground Station and take the Piccadilly Line to Covent Garden Underground Station where as you queue for the lifts, or regret the decision to take the stairs, you may meet the ghost of the actor William Terriss who was murdered outside the Adelphi Theatre in 1897, but for some unknown reason started haunting the underground station in 1955. A séance was later held at the station and the ghost claimed to be the Victorian actor William Terriss. He was seen many times later on the platforms, passageways and emergency stairs of the station, along with station workers hearing phantom footsteps and feeling an icy chill. 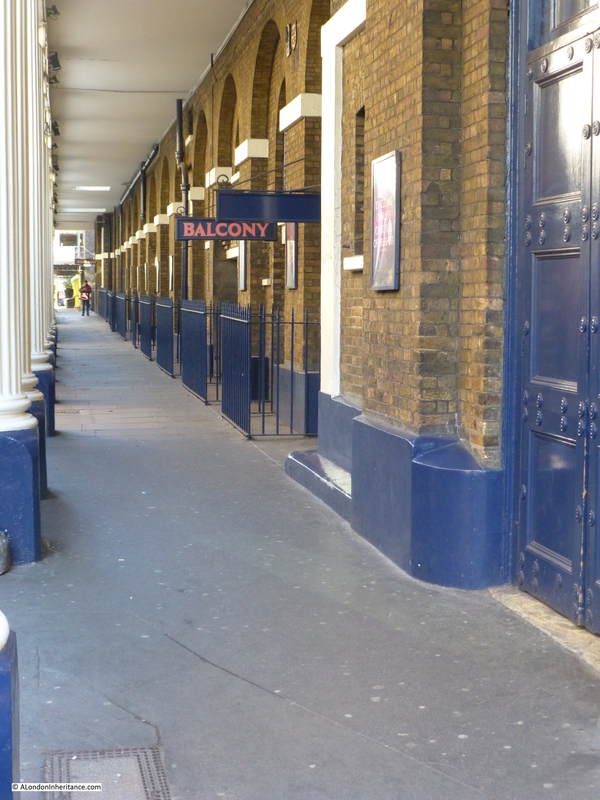 William Terriss was stabbed by a fellow actor as he entered the stage door of the Adelphi Theatre. The murderer, Richard Prince was jealous of the popularity of Terriss. Whilst he was found guilty, he was also diagnosed as insane and died in Broadmoor. 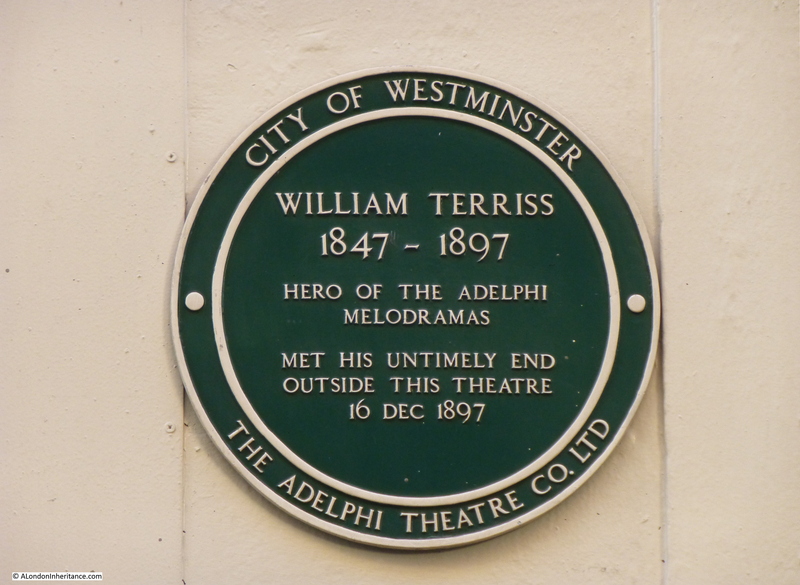 There is a plaque to William Terriss at the rear of the Adelphi in Maiden Lane. The rear of the Adelphi, it was here that William Terriss was murdered. 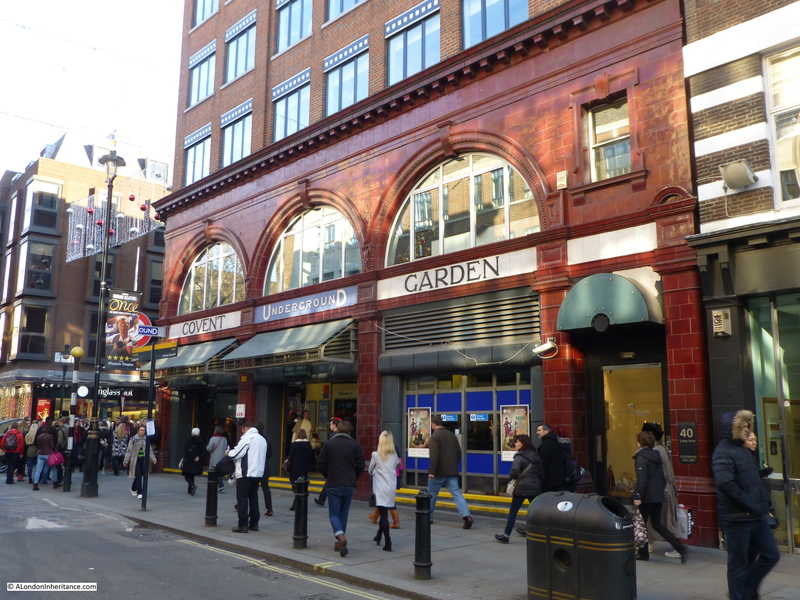 He is also said to haunt the theatre, but why he should be haunting the Covent Garden Underground Station rather than just the scene of his murder remains a mystery. The identity of the man in grey is a bit of a mystery. Possibly that of the actor Arnold Woodruffe who was killed by Charles Macklin some 200 years ago in a burst of anger. When the theatre was rebuilt around the 1850s a small room was found which contained the skeleton of a man with a dagger in his ribs. His identity was never found, and he is also one of the possible candidates for the man in grey. 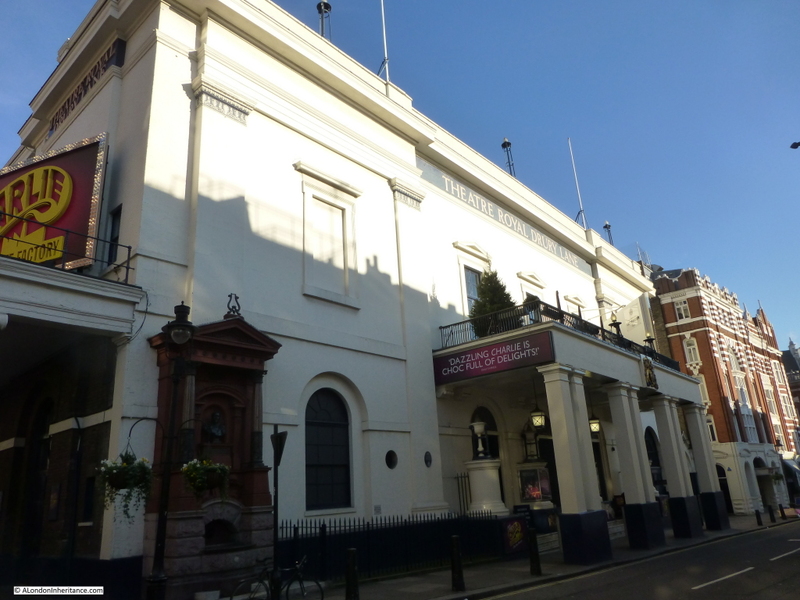 Other ghostly appearances at the Theatre Royal have been a man with a long white-painted face who was occasionally seen sitting behind people in the boxes. He was thought to be the famous clown Joe Grimaldi. The comedian Dan Leno was also allegedly seen at times, but was one of the more infrequent ghostly visitors to the Theatre Royal. 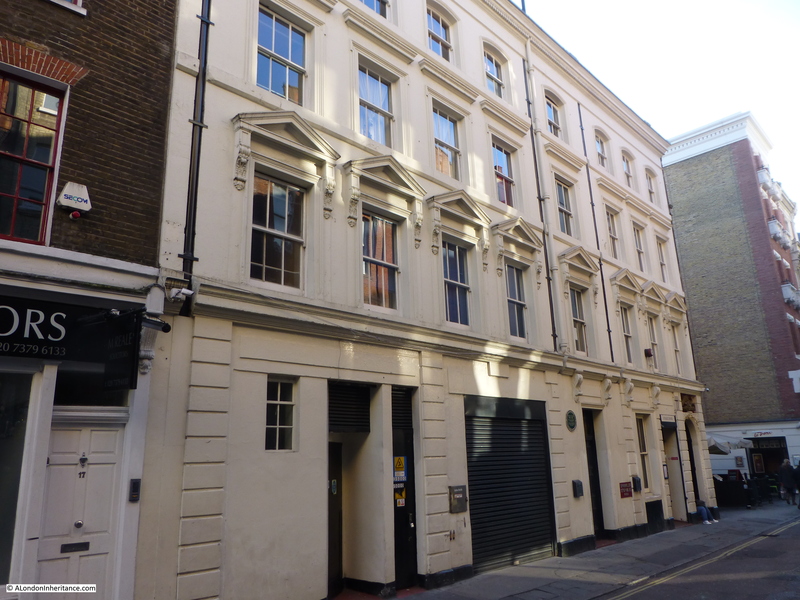 A theatre has been on the site of the Theatre Royal since 1663. The theatre went through several phases of demolition and rebuilding until the present theatre which was built-in 1812. Now we head into the City of London. Walk up Ludgate Hill and just before reaching St. Paul’s turn left into Ave Maria Lane. A short distance along, on the left is Amen Corner and Amen Court. At the far end, through the gateway in the following photo can be seen a wall, the old city wall built on Roman foundations. 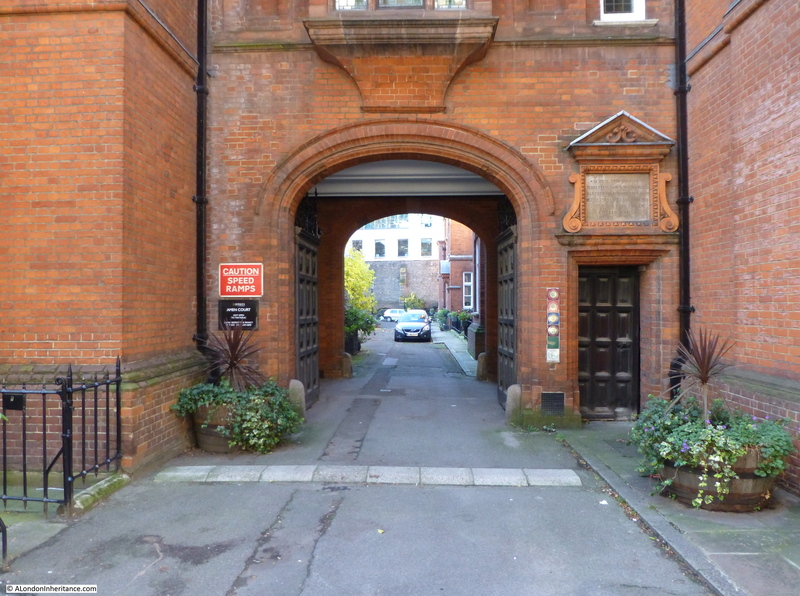 This wall separates Amen Court from Dead Mans Walk where those hanged at Newgate Prison were buried in quick lime. This is a possible explanation for a “Thing” that has been seen at night creeping along the top of the wall. No one has been able to see this vision close enough to identify what it may be. So when out in London during the dark nights of winter, keep an eye out for the ghosts of London, shadows from London’s past who may still retain a fleeting presence in today’s city. Memories from walking London with my father in the early 1970s along with 60 years of notes he kept in the book Unbidden Guests – A Book of Real Ghosts by William Oliver Stephens published in 1949. He kept notes on London covering subjects such as architectural, historical as well as ghost stories in a wide range of books about London. One of the many reasons I much prefer books to eReaders. This entry was posted in London Characters and tagged Adelphi, Covent Garden, Ghosts, London Ghosts, Theatre Royal on December 21, 2014 by admin.